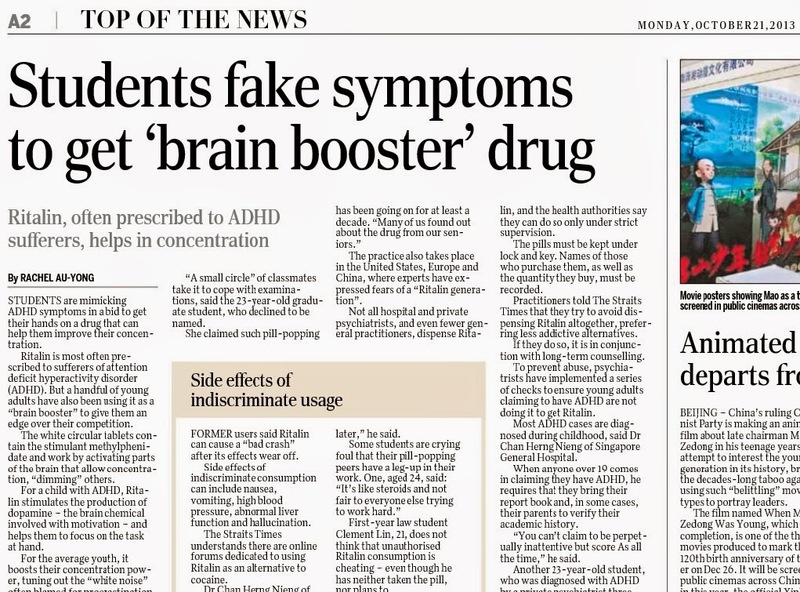 Ritalin is most often prescribed to suffers of ADHD. 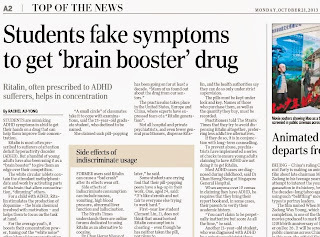 But a handful of students in Singapore are also using it as a "brain booster" to give them an edge over their competitors. Read the report in today (21 Oct 2013) Straits Times.